Thanks to everyone for sharing your stories and crazy fliers! Feeling lucky? 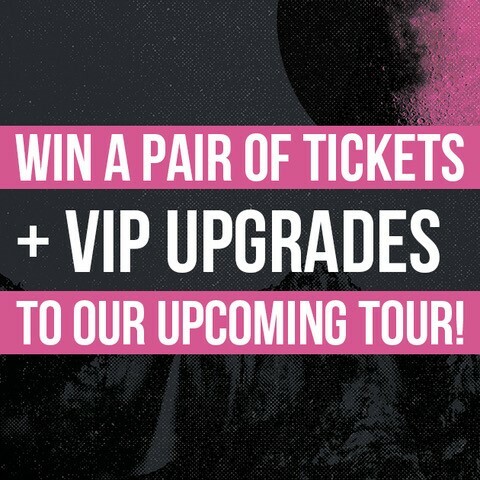 We want to give away three pairs of tickets along with VIP Upgrades to our Summer Co-Headlining tour with Coheed & Cambria July 6- August 12! All you need to do is head to our Twitter, Instagram or Facebook and submit the oldest Taking Back Sunday show flyer you can find. One winner from each site will be selected at random next week. (Transportation is not included.) You have from now until 11:59 pm PST Tuesday June 12, 2018 to enter! Good luck and can’t wait to meet you!